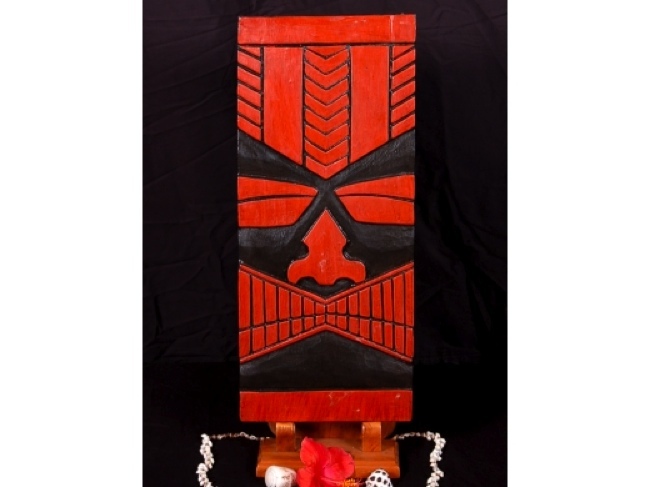 Here is a hand carved Tiki mask with a more modern look. 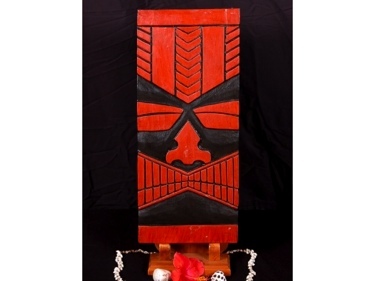 This Olopana (ruling chief of Kailua) Tiki mask was hand carved with great attention to details (ready to hang!). Measurement: 20 by 9 Perfect indoor/outdoor island decoration!